If you have traveled by rail internationally, you are probably aware of some of the more whimsical station designs that are out there. Rail stations can range from traditional, highlighting the dawn of rail transportation, or to the overtly futuristic. Below are some of the designs that we liked here at SHIFTboston. We hope to see as much innovation and design put into the future South Coast Rail Expansion stations. 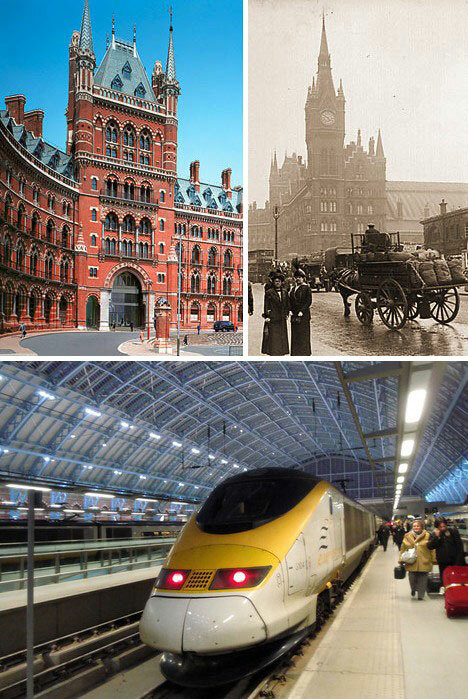 London is home to St. Pancras Station, where rail transportation first got its start. The station’s red brick gothic exterior leads into a modernized interior that houses the Eurostar. The 1860’s steel and glass roof is still intact and provides a traditional look for 21st trains. Traveling down under? Be sure to visit Melbourne’s Southern Cross Station. 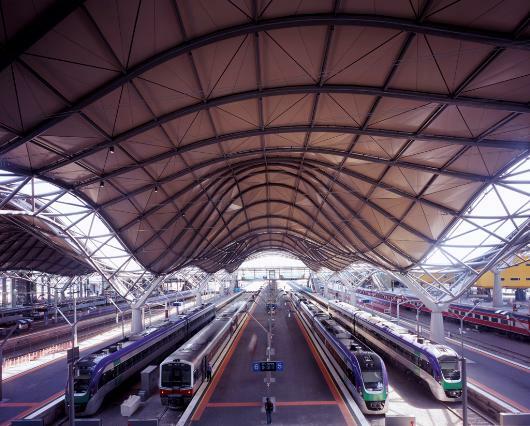 Designed by Grimshaw and Daryl Jackson Architects, Southern Cross Station acts as the hub for transportation in Victoria. It houses busses, trains, taxis, as well as a large shopping center. The station is comprised of a gigantic roof that is open on the sides. 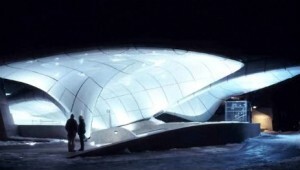 Waves were used as the design inspiration. It was also designed to incorporate both the old part and new parts of the city. Melbourne’s old section of the city is reflected in the station’s contemporary glass roof. In Innsbruck, Austria there is a series of rail stations that match the surrounding landscape. Zaha Hadid designed the stations to look like glaciers. 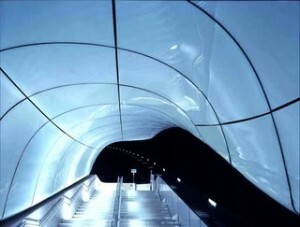 Hadid studied glacial movements and weather patterns for inspiration. The reflective structures looks like they are melting or slowly moving – mimicking glacial patterns. Artist Anish Kapoor and Future Systems architects worked together to create the metro station in the city center of Naples. 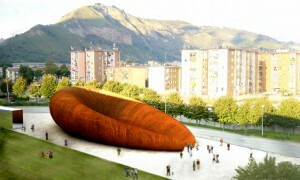 The team designed the station to look organic, as if it had risen up from the ground naturally, reminiscent of Mt Vesuvius which overshadows the city. Passengers enter in through a narrow opening and proceed down underground to the trains. Once inside there is a wide open space created from concrete tunnels that give way to the trains. 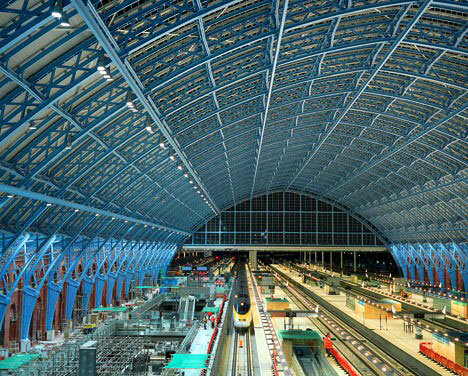 These are just a few of the innovative station designs around the world. We’d love to hear your thoughts – What types of structures would you like to see along the South Coast Rail Extension?